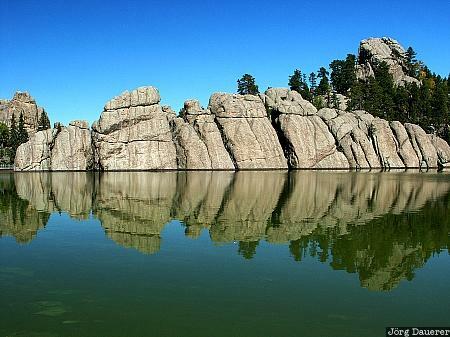 A perfect reflexion of rocks at the shore of Sylvan Lake in Custer State Park. Custer State Park is the western South Dakota in the northern part of the United States. This photo was taken at noon on a sunny day in September 2003. This photo was taken with a digital camera.